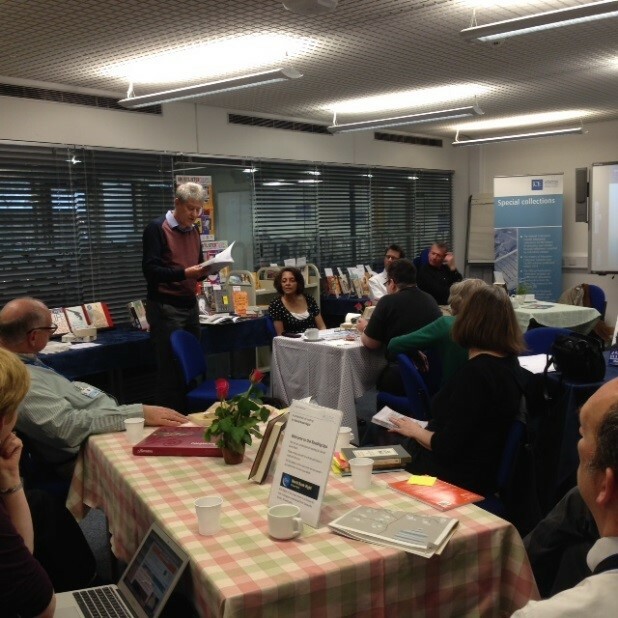 On Thursday 23 April a group of staff from across the Institute (along with a colleague from UCL) came together in the Library to mark World Book Night with a celebration of ‘Reading aloud and listening to others read’. This event encompassed huge distances in both time and space, with readings from the 12th to 21st centuries, in English, Afrikaans and Gaelic, and by authors from Rabindranath Tagore to Roger McGough to Peter Ackroyd. The session was introduced by Sam Duncan (UCL IOE Department of Lifelong and Comparative Education). Sam referred to her study of reading aloud in adult life, and the many different purposes and circumstances related to it, and raised the question of how voice interplays with text. (For more on Sam’s research see Duncan 2015 ‘Reading aloud in Lewisham: an exploration of adult reading-aloud practices’ Literacy Vol 49 (2) pp84-90. The evening was about being read to as well as reading and it was delightful to see colleagues sit back in anticipation of a rich and varied story time, with many of the readings enhanced by a brief description of why the text had been chosen. 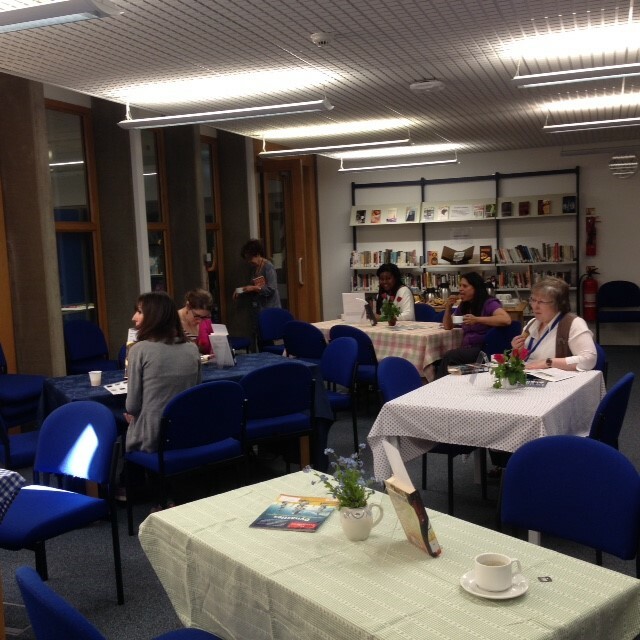 The Library had in fact been celebrating World Book Night since the morning, with a book swap outside the library entrance and a reading spa in the library teaching room during the afternoon, where library users were invited to take a break with a cup of tea and a peaceful read. A selection of books from the Curriculum Resources and Education in Literature collections were on display with reviews for anyone looking for reading sugge stions. World Book Night, run by The Reading Agency, aims to connect more adults with reading (to find out more go to http://www.worldbooknight.org/about) and our Read Aloud event gave us an opportunity to reflect on the many ways reading, being read to and having access to a wealth of reading material enhances our lives. 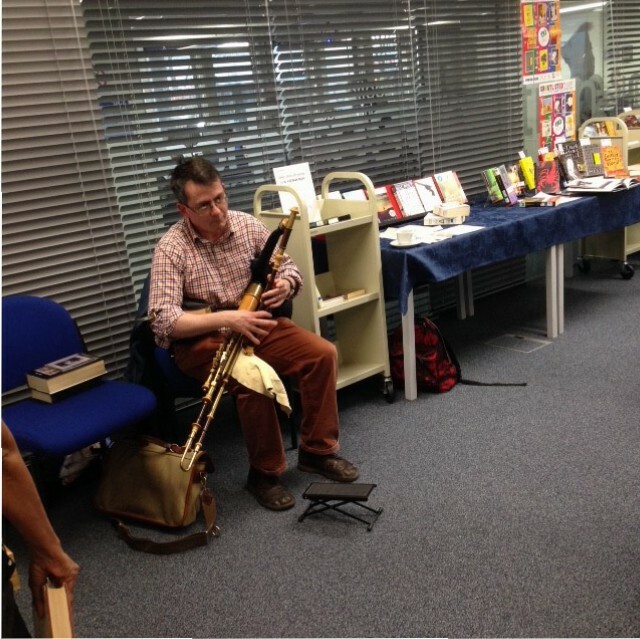 It’s something we don’t do often enough, even – or perhaps especially – in a Library. This entry was posted in Library, Library and Archives and tagged literacy, reading, Reading Agency, reading aloud, reading for pleasure, World Book Night. Bookmark the permalink.